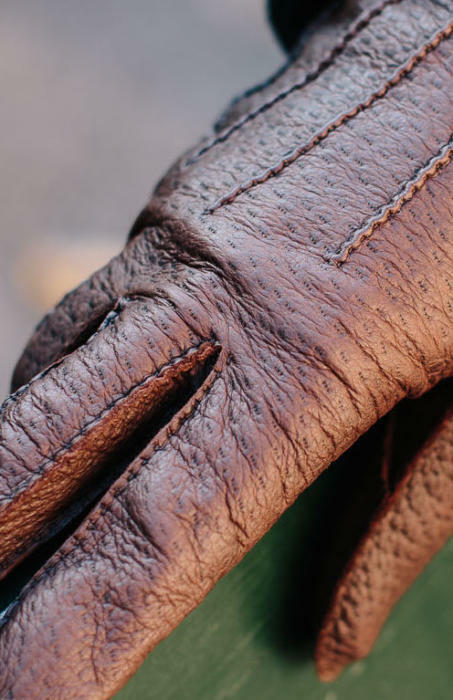 French storied manufacturer Lavabre Cadet makes the finest gloves I’ve ever worn - but they don’t have many outlets, particularly not in their full range of skins and finishes. As a step towards correcting that, we are launching a joint collaboration today between Permanent Style, Lavabre Cadet and Anderson & Sheppard. A range of gloves I have selected will be available made-to-order (MTO) through the Permanent Style shop. And for those in London, Anderson & Sheppard will be offering them in Clifford Street, alongside samples of the leathers and sizes. The size is important, because one of Lavabre Cadet’s selling points is the fact it offers quarter sizes - where pretty much everyone else only has half sizes. So those that order will be sent details on how to measure their hands, and may well find a quarter-size match, giving them a better fit. We also encourage people to trace their hand and include it with their order, so the Lavabre atelier outside Paris has all possible information. One of the things I immediately notice in the peccary from Lavabre Cadet is how much softer it is than the gloves I've had from other makers. In fact, this peccary is so hard to get hold of that this MTO offer has to be limited to five pairs in each of the four colours. That same quality of sourcing extends to the other leathers too - the goatskin and the lambskin. The lamb is slightly softer than the kid, but both feel nicer than similar hides from other makers. Once you’ve picked your leather, there are few other options. You can have them lined in black or white silk, or in black or beige cashmere. The peccary can also be unlined. The construction can be with the seams turned inwards (neater and dressier) or outwards (thicker and more masculine). If outwards, they can be handstitched, for an extra £45. And finally, you can add up to four initials, on the inside of the bottom of the glove, for £22 (per glove). It’s quite a lot of options, but these are the pleasures of made-to-order. Above you can see some basic examples of the colours (click to enlarge, or right click and open in a new tab) and below are three examples showing the three ways of finishing the edges. I would particularly draw your attention to the close, cropped finish of the seams on the outside-stitching construction, which you can see most clearly on my gloves in the above pictures. This is another characteristic of Lavabre Cadet and something that makes this finely crafted model much more elegant to wear. If you would like to order online please email me at simon@simoncrompton.co.uk to confirm your details and receive information on measuring. Payment will still be through the shop site. Delivery for the gloves is three weeks from ordering, so plenty of time before Christmas. The cost of delivery is roughly the same as our polo shirts: EU £13, everywhere else £19. You can follow the discussion on Collaboration: Made-to-order Lavabre Cadet gloves by entering your email address in the box below. You will then receive an email every time a new comment is added. These will also contain a link to a page where you can stop the alerts, and remove all of your related data from the site. This sounds like a fantastic collaboration and nicely timed for a “self” Christmas present. I have a quick question in relation to the warmth of the gloves (as in how warm they will keep my hands). 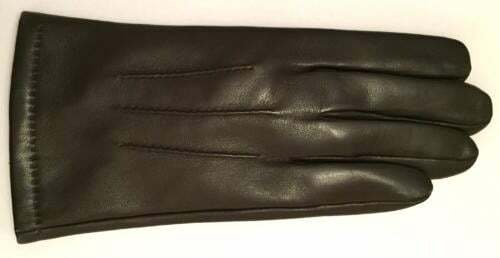 I currently have a pair of brown leather, silk lined, gloves by Merola, which I love but do not keep my hands warm in cold weather, for example the current weather we are experiencing in London. Do you think a cashmere lining and a different type of leather (e.g. Peccary) would be better at keeping my hands warm? Or would I be better off with a fur lined or a shearling pair of gloves? (I appreciate the question of warmth is necessarily subjective, but would be interested to hear your thoughts on how much the linings and type of leather influence this). Cashmere lining will certainly help, and peccary will also a little bit. Thank you Simon. Just to clarify, would a fur lined or a shearling pair of gloves be even warmer than a cashmere lining? (I appreciate this is not on offer in the collaboration, but again would appreciate your view). You call the goatskin both ‘goat’ and ‘kid’ in the post. Can you say which it is? Good spot, my mistake. It’s goat, not kid – important distinction. I’ll correct that now. When and in which store will A&S have the sample sizes? Do you know how broad the range of sizes will be? We are not offering bespoke – which would mean those alterations of finger length in relation to palm etc. – sorry. The sample sizes are in the A&S haberdashery now, so do pop down and have a look. I had bespoke unlined pecari gloves from LC before, but these were about €580 some years ago, so this MTO deal sound like good value. These gloves are a true luxury. Take them lined for winter though. At the recent trunk show at G&G I ordered a pair of bespoke peccary gloves from LC (lined with cashmere) and they were 825 Euros including tax and shipping. They are wonderful but clearly expensive. I’ll probably get a MTO pair as a result of this deal and it will be interesting to see what the difference is. Simon, how much is VAT & shipping? I also wonder if you are going to do a post about the new colours of the wispy scarf and how to wear them? VAT is always 20% on top. Shipping is a good point – I forgot to include this. It is the same prices as the polo shirts. Will the wispy scarf be sold through the Permanent Style shop, or only directly through Begg and Co.? Interesting that there are still “sizes”..
On the articles of clothing that I have had made, there are no numerical references….And as someone else pointed out, with all the differing finger lengths would it not be better to simply pattern everything directly from the customers hand? Another question, part of the benefit of going bespoke for something like a suit, beyond the fit, is how it looks, hangs, etc…how does this relate on such precisely (and small) fitted items like a glove? 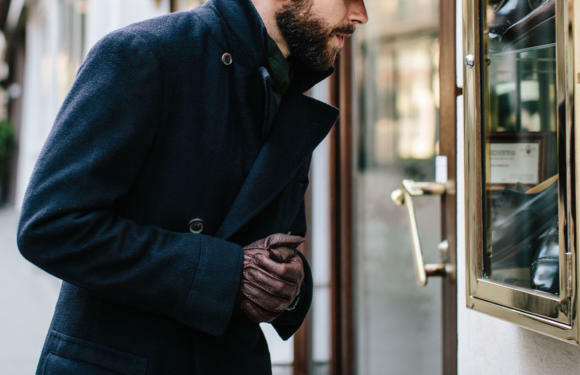 Bespoke is certainly a great option with gloves, but it usually costs twice as much or so, as standard patterns can’t be used. It is also often best done face-to-face with an artisan, which is why we decided not to offer it. There aren’t the bespoke benefits you mention with gloves, no. It’s about fit and fit only. You can get all other aspects of hand work and personalisation with MTO – another reason we liked this as something to offer readers. outside? Always find it impractical with my gloves to keep taking them on and off when I use my phone outside. Perhaps something with bespoke but was wondering if LC had an experience with doing something like that. I’ve been in the market for some new gloves, so this collaboration is very timely! I’m a little disappointed that, aside from the peccary, there are only black and brown colour options, and that alpaca isn’t a lining option, but recognize that this is likely a needed limitation to make success of this collaboration more likely. These will help guide my decision. Thanks for this exciting collaboration! Generally, lambskin is softer than goatskin, and yes less of a texture to it. Peccary is softer still, stretchy, and also the toughest of materials. Silk lining provides a decent amount of warmth, as it is highly wind-resistant, but not as warm as cashmere obviously. Generally unlined is nice when you want to feel the skin more than the lining. The hand stitching is a purely aesthetic decision – as you can see on the images, it adds a delicate touch to the points along the back of the hand and the edges of the fingers. One follow-up: do you mean that silk lining is more wind-resistant than cashmere lining (if not as warm)? Simon, would you say that black peccary does not look as dressy as the other leathers in the same colour given its texture? Long time follower, first time commenting. Given that i live in a very cold winter weather – Boston, USA – would the cashmere lining be warm enough? if not, will they ever offer a shearling lining? You can buy shearling gloves from them, in fact I believe Anderson & Sheppard are stocking some soon. I am planning on buying the brown lambskin gloves with a silk lining; this would be a spring/fall glove for me. However, I’m torn between getting inside stitching (I think the clean look is much more attractive) versus outside stitching (which, I wonder, may fit better and be more comfortable). I’d appreciate hearing the experiences of others on this matter. Thanks! Simon, what would you say is the most versatile combination of material/colour – i.e. something that could be worn formally with a business or lounge suit, and casually as well? I ordered a pair of black lamb gloves with inside stitching from the A&S shop, which I am very much looking forward to receive. I thought that would be a perfect pair to carry everyday to work (business formal for me) and although that is far from being a rule I have a preference for matching formal black shoes with smooth black gloves (rather than a brown peccary for instance). Anyhow, before digressing too much, the A&S guys told me that the brown peccary leather was so successful that it sold out super quickly and that alternate sources will probably make the gloves cost 700-800 next time if LC does not find other less expensive sources of leather without compromising on quality. Too bad as brown peccary was the next I had in mind… one suggestion if I may: I find that carpincho makes for beautiful beautiful gloves. Not as rare as peccary but it has something to it that gives it character. I think it could make a very good ‘exotic’ leather option at the level where you were pricing peccary in this collaboration. Thoughts? NB: thanks again for advising me the Bennett Winch commuter bag as a go-to bag to use for the gym and ‘lightly packed’ weekends. Used it a few times (including this weekend for travel) and it works beautifully, I love it. A bit off-topic: any good value brand(s) you’d advise me for exotic skin belts (I am looking for a dark brown alligator, I think I recall you have a nice one from one of the posts). 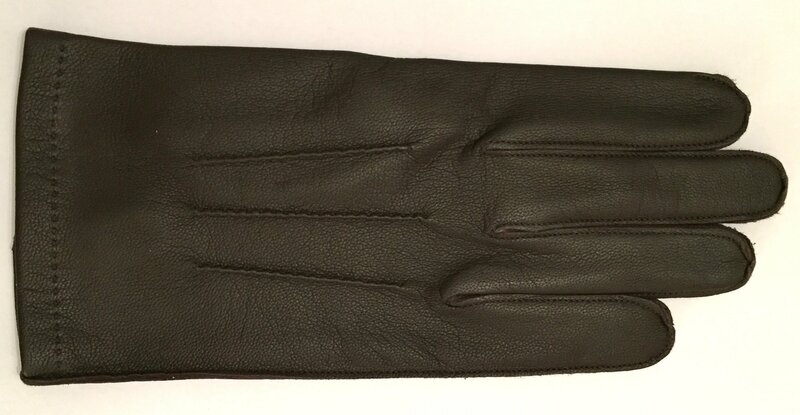 My order of the machine sewed black peccary gloves with a cashmere lining turned up today. They had survived passing through Swiss Customs as they opened it up and had a good look. I have to say these are very warm and probably the best pair of gloves I’ve ever bought. I hadn’t realised how bad my previous pair were! Thank you Simon for this collaboration: i’ve already emailed Lavabre Cadet to express my appreciation too. I was wondering whether you (or other loyal readers) could help me Simon. 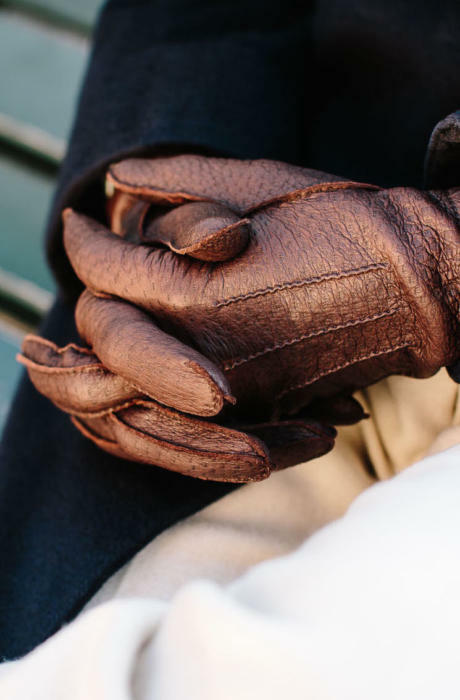 I am after a pair of RTW good quality gloves, from any manufacturer (ie Merola, Dent etc) and I was wondering whether you know of any shops in London that have a good range/stock of such items? I recently made the mistake of trying Harrods/Selfridges etc, only to find that they only seemed to stock overpriced fashion labels. Would I be better of trying somewhere like Drakes or A&S? I am currently looking for a new pair of gloves. I have a pair of carpincho from Mazzoleni but I would like to try Lavabre Cadet for my next pair. What would you say the main differences are between Mazzoleni and Lavabre Cadet? Is Lavabre Cadet the same quality as Mazzoleni? Also, do you stock Lavabre Cadet brown peccary in the pop-up store? There is some stock available just for today now, as their trunk show ends today. I’m not sure about brown peccary, but can check. Simon, when it comes to gloves do you have a preference on the wrist, ie a simple open vent, a button closure, a strap? Interesting. I’ve always liked the look of a button closure but figured it would be too fiddly to deal with – especially when trying to button when one glove is already on. I’m assuming you don’t find this to be an issue? Agree on having a button closure. The biggest negative of the gloves from this LC collaboration was that they had an open vent and no button to close. Might seem a silly question but do you then have to un-button a glove before being able to remove it? Seems cumbersome and slightly awkward. Any prospect of this collaboration being repeated?! Recently had some gloves made by someone that turned out quite well so am about to commission a new pair. Whereas my first pair were peccary with an outward seam, I was thinking that for the next pair I might go for a look that is slightly neater however I don’t want to go with an inward seam which too me often appears a little too “dandy” – rather I was hoping for an outward that isn’t quite as “chunky”. Having consulted with the maker, they’ve advised that what I’m after can only really be achieved if they use machine stitching rather than the hand stitching they employed with my first pair. To my eye, the machine stitch can produce a more refined look however I’ve always been lead to believe hand-stitching is always preferable as it denotes greater craft. Where does one draw the line however if craft doesn’t produce as refined a look? Your thoughts would be greatly appreciated Simon. It’s an interesting point. Craft is great, but in the end if it’s not producing the look you want, there’s no point to it. You have to balance the look of finer finishing with hand finishing – which do you value more highly? Thanks Simon. In order to properly weigh things I suppose another factor is – where is the handcrafting adding to the piece’s strength, durability and longevity? In my case, would machine stitching produce less durable gloves? Lastly, when assessing gloves, are hand stitched seams one of the prime indicators that they’re finely crafted? Hand stitching doesn’t make it stronger – it just looks nice. It’s certainly a sign of craft, alongside hand cutting and fineness of finishing elsewhere. What is your take on Chamois gloves for suit and black shoes kind of look ? I love how they look in the old Apparel Arts illustrations, but I am afraid they might look a bit anachronistic, rather than cool. Personally, I’m not a huge fan of the overdone dandy style but rather of the more subtle, well put together, “Permanent Style” style :). Awesome – thank you! Do you happen to know how can I get hold of the Lavabre Cadet guys to order a pair? Do they have a shop in Paris or any presence in London? Simon, Lavabre Cadet gloves have gotten much more expensive since you did this piece. The Hanger Project currently has RTW versions at $795, which is almost double the price of this collab (I appreciate this was 2 years ago, but it is still a very significant jump). More importantly, the current price also doubles that of other makers such as Hestra, Merola, etc. In your experience, does the quality justify the price? I am all for getting the best you can afford, and I could make an effort and go for the Lavabre, but I am hesitant because of how much more expensive they are relative to how much better. You help would, as always, be much appreciated. The collab we did was with some peccary we sourced that was rather cheaper than normal, hence why it was a one-off. So regular gloves from Lavabre will be a big chunk, perhaps 50%, more expensive. Thanks very much, Simon, this is very useful. A bit of a follow up: do you have experience/thoughts on the peccary gloves that Drake’s is offering this season? Are they on Merola level? (I can’t find Merola on my size in the US). Thanks again! May I ask what exact colour the gloves you are wearing in the pictures here are ? Thanks a lot for the the prompt response. A dark brown then. Again, a truly stunning pair of gloves. All the best, thanks ! Hi Simon, I have a pair of gloves that need to be re-lined. Do you know anyone in London who does this?